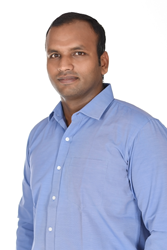 gooidev has named Thobith Abraham executive vice president – business development for its I Connect incubation and business platform in India. “Thobith is a young, energetic and accomplished young man with a passion for helping and starting fertile small and midsized enterprises (SME) and student communities,” says gooidev chairman and CEO Paul N. Greenwood. A software engineer and team leader, Abraham has founded two tech startups and worked with several others in India and overseas, concentrating on helping organizations scale up their global presences, He began leading and organizing social and business events when he was 13. “He has an unquenchable enthusiasm and passion for people, product and technology,” says Greenwood. “I realized the extent of equilibrium that needs to be maintained between society and business to make commerce successful,” says Abraham, who holds a Master’s degree in Computer Science from the University of Madras. He specializes in software/product development, international strategic alliances, sales and marketing and networking. He is also a motivational speaker and community-building enthusiast. “We are living in an exciting economic period,” Abraham says. “Historically, we have been through various economic shifts and gained enough experience to deliver to the next generation. Until a few decades back, those experiences and innovations were carried forward by a few daring souls called entrepreneurs. Now, with the engagement of deeply experienced businessmen, who have realized the significance of the younger generation getting started, we are able to see the silicon valley brimming with young and innovative entrepreneurial minds.